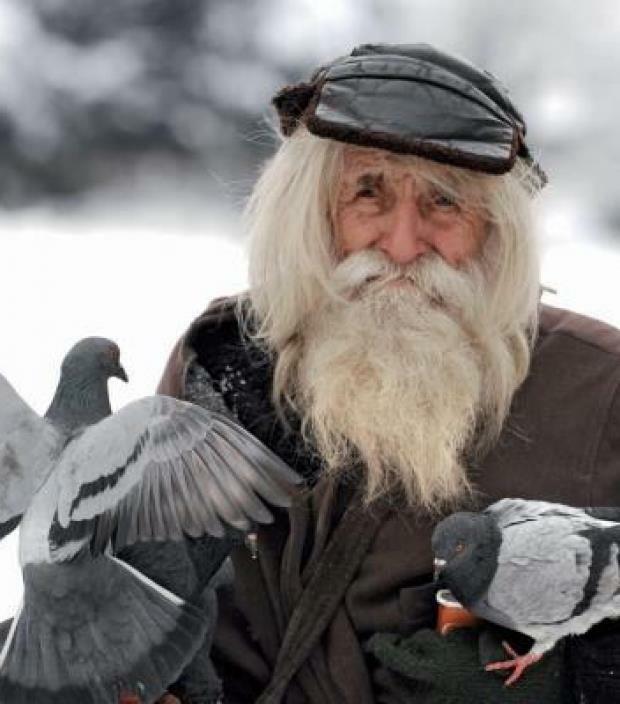 This is Dobri Dobrev. 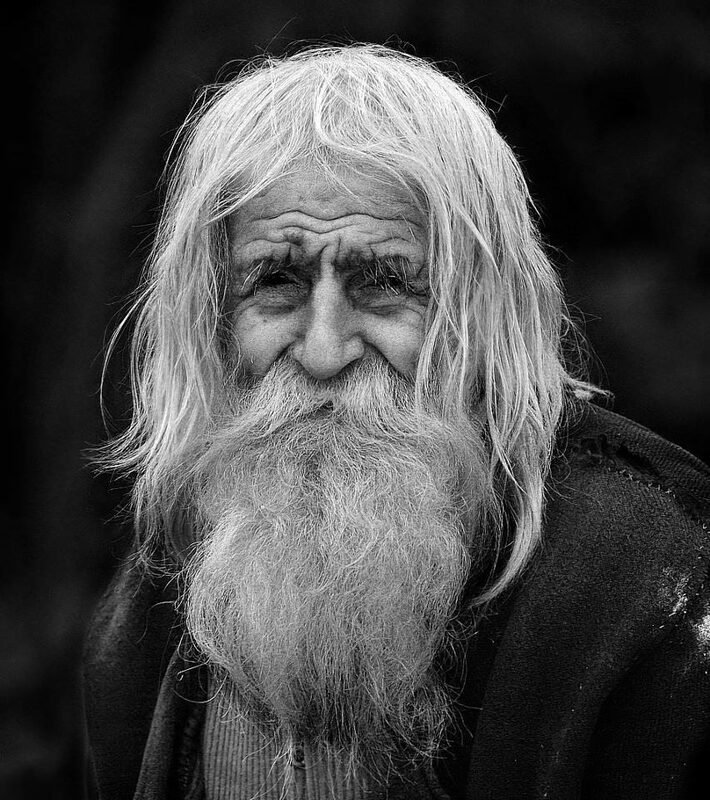 Aged 98, he is a Bulgarian WWII veteran. 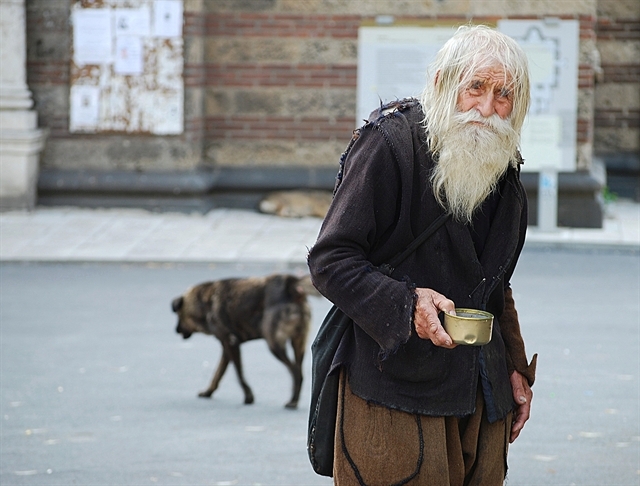 He lives 10km outside Bulgaria’s Capital, Sofia. 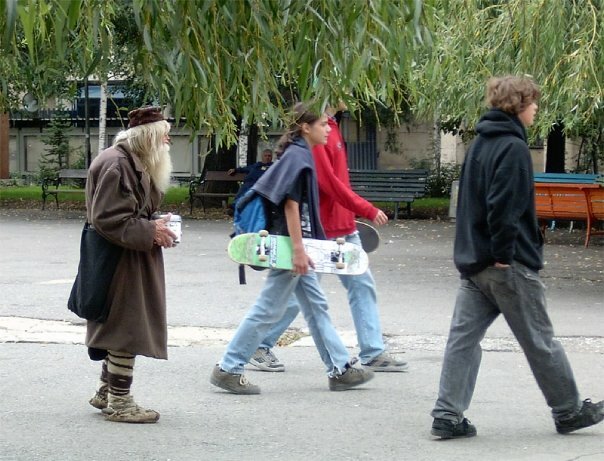 Everyday he walks the 10k to the city capital, to beg for money. Here’s the thing…Dobrev isn’t begging for himself. He manages to live with a 80 Euros pension (roughly 100 USD) a month. All the money that he has collected over the years, an estimated 40.000 euros (50k USD) has been donated by him to orphanages unable to pay their bills. Remember…he’s not begging for himself. It’s for orphanages. 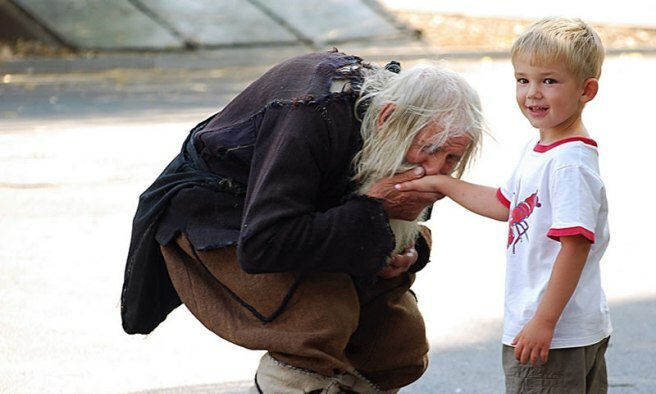 Yet, he often kisses the hand that drops a coin in his tin, and thanks them for their charity. Over the years elder Dobrev separated from the materialistic aspects of life and devoted himself entirely to the spiritual world. 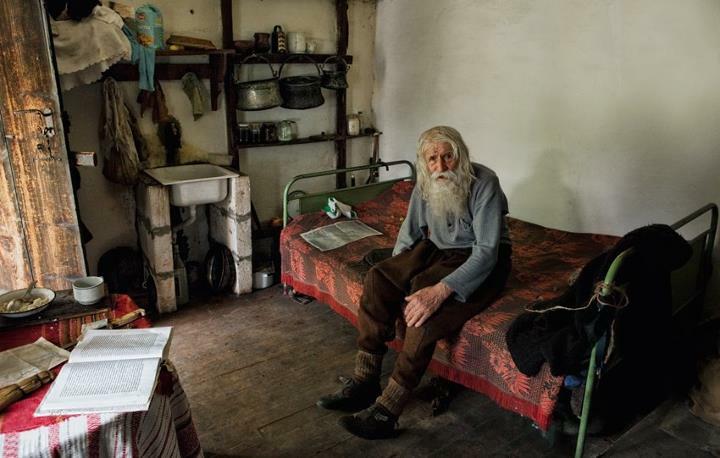 Around the year 2000, he decided to donate all his belongings to the church and now he lives very modestly in a small extension to the church “St. Cyril and Methodius” in his native village of Baylovo. This is beautiful. 🙂 This is one of the reasons for which we need not complain when we have so much. Such a beautifully and inspiring story. So much could be learned; people as this remind us how much there is yet to be learned, and appreciated. Off topic but I must share this ! People never cease to amaze me. What a human being! We should all be inspired by a person like this. It really takes a big heart and courage to do what he has done for others. I respect him from all my heart. What a moving story, thank you! Thank you also for your follow! The world needs more beautiful souls like this.